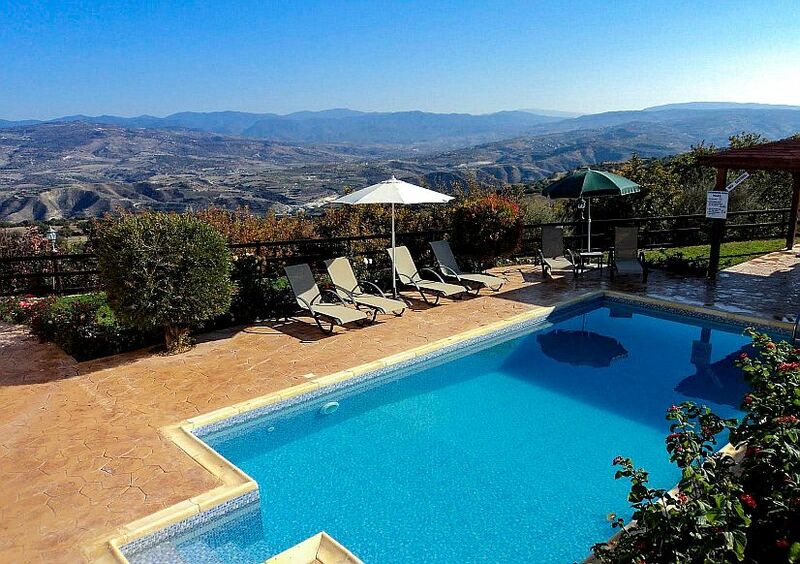 I got back from Cyprus last night and thought I'd jot some some thoughts on Villa Quardia. In short it was just what was needed! After a stressful several months at work, a week of quiet contemplation by the pool has recharged my batteries very successfully. I had no idea how much I needed that. The villa was perfect and stunning in every way and I enjoyed every minute of my stay ..... apart from the 30 minutes I spent chasing a lizard around the house having stupidly left the door open. Mind you, I suppose even that was worthwhile as I think I needed the exercise :-) Please pass on my thanks to the owner's parents who obviously realised that this weird, pale visitor needed some isolation and respected that. This was my first visit to Cyprus, apart from a childhood trip I can barely remember, and I'll definitely be back. Stayed here a fortnight ago. Beautiful place. DINO is definitely a character. Two lovely restaurants friendly people at Milou also the fish restaurant at Polis . Stayed in 4 different places now and I would recommend Sundance Villas to anyone wanting to stay in this beautiful part of Cyprus. Lovely holiday again with Sundance! 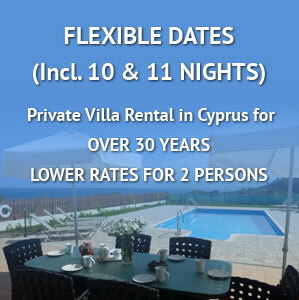 The villa was absolutely excellent with all of the aspects of peace, tranquillity and utter privacy that we look for.